Have you been to Yosemite before?!! I can’t even explain the feeling you get when you drive up to Glacier Point, but you HAVE to experience it. I’ve never felt so small as I did up there with the mountains all around me and seeing the grandness of half dome so close. 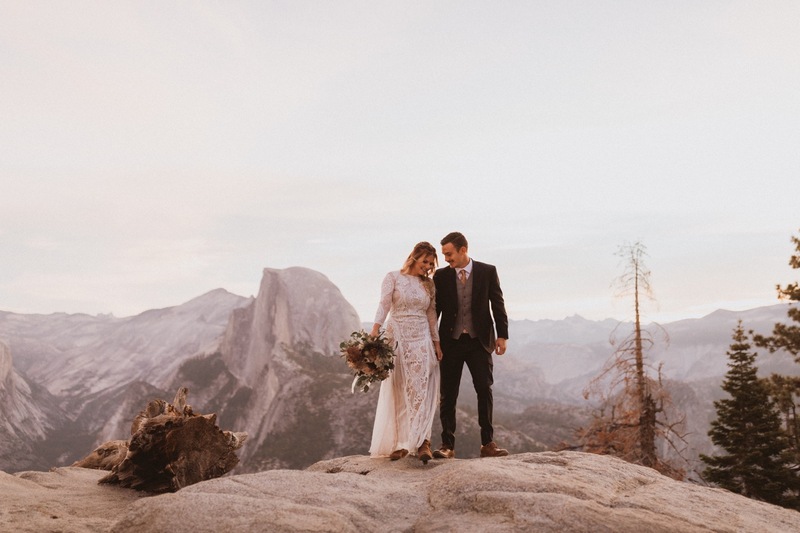 So its safe to say there is no better place ever to elope than this spot. And completely worth the 4am wake up call to get here for sunrise!!! The light changed like crazy from soft pinks, to crazy rays of light as the sun hit the top of the mountains. This day was completely unreal and filled me with so much love for this place. Pretty sure there is no better place to say your vows! !